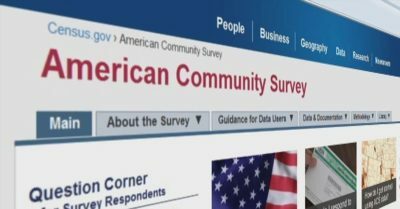 The American Community Survey is an Orwellian overreach of federal powers that should be resisted by Americans. It is a survey that invades privacy by asking about the presence of flush toilets, the amount of income that you earn, whether there is a business in your home, how much you spend on utilities, where you work, what time you leave for work, how you get to work, how long it takes you to get to work, etc. This national survey is both unbiblical and unconstitutional. And (as illustrated by recent hacks into classified information on federal employees) it is dangerous to have our personal information located in such a central warehouse. What are we to think of this Biblically? According to the Bible, any gathering of census information beyond the basics needed during time of war was unlawful. The national census of Israel in Numbers 1–2 only authorized 1) a simple enumeration,1 2) of males,2 3) twenty years old and above,3 4) who were able to go to war,4 5) who had voluntarily joined with Moses for battle,5 6) who were not part of the clergy,6 7) and if it took place during a time of war.7 In other words, it was a simple enumeration for military purposes, not a massive collection of information. When David restricted his earlier census to these seven criteria of God’s law, he was blessed by God.8 But when David later engaged in a census that ignored five of the seven restrictions, God treated the census as a gross overreach of state authority despite the fact that David’s census was far less intrusive than the American Community Survey is.9 1 Chronicles 21 makes clear that David’s later census was Satanic in its origin (v. 1), was “abominable to Joab” (v. 6) and to God (v. 7), was a great sin (v. 8), was foolish (v. 8), resulted in God’s judgment upon Israel as a whole (vv. 9-17), and required atonement before the judgment could be averted (vv. 18–27). In addition to Biblical grounds, the American Community Survey could also be resisted on Constitutional grounds, based on the following three criteria. Second, the intrusive questioning violates the Fourth Amendment12 in three ways: 1) People are no longer secure in their persons, houses, papers, and effects when agents can demand information through threats of fines. 2) The survey is certainly an unreasonable search and seizure of information that is not warranted in the Constitution. 3) People are treated as criminals for not allowing agents without a warrant into their homes. 1. The word “number” or “numbered” occurs 54 times in these two chapters. 2. The word “male,” “man,” or “men” is mandated seven times in these two chapters. 3. The phrase “twenty years old and above” occurs 15 times in these two chapters. 4. The criterion that each one numbered be “able to go to war” is mentioned 14 times in these two chapters. 6. God made it very clear that “the tribe of Levi you shall not number” (1:49; see also 1:47; 2:33). 7. The word “war” clearly defines this enumeration fourteen times. And the term “army” or “armies” is used 22 times to make it clear that it was an enumeration of the army. 8. In 2 Samuel 18 it is clear that this census was of military men, under military captains and Generals, in a time of war. 9. David’s census was a simple counting. 10. For more information on how such actions were defined by God as tyrannical, see the critique of Saul and Solomon in Dr. Robert Fuguate’s monograph, Toward a Theology of Taxation, pp. 23–25. The bulk of his argumentation also appeared in three consecutive articles by Dr. Fugate published in Chalcedon’s Faith for All of Life between July and December 2012. 13. Article I, section 1. This establishes the necessity of a strict constructionist interpretation of the Constitution.